Atria Villages targets affluent seniors. Rents start at about $4,250. New Model: A new approach to 'continuing care' living does away with buy-ins. A new wave of institutional investor money and a new approach to senior living are edging in on the traditional “continuing care retirement community” model in which customers buy their way into independent living units then transition as needed to assisted living and memory-care wings. 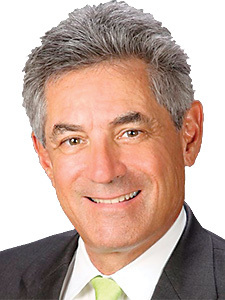 Delray Beach-based developer Richard Ackerman and his Big Rock Partners recently opened the $105-million Atria Villages of Windsor in Lake Worth. It boasts high-end amenities and traditional housing types — 179 one- and two-bedroom independent living apartments, 80 assisted living units and a memory care building. Where it parts with tradition is that it’s a rental community and doesn’t require upfront entrance fees, which at many projects, according to AARP, range from $100,000 to $1 million. Ackerman says his model offers flexibility and financial liquidity to residents and their families. Rents, covering dining, housekeeping and programming, are approximately $4,250 to $6,900 per month depending on the size of the unit. He says his project offers affluent customers “plenty of opportunities to grow and thrive” without the “trade-offs and major lifestyle changes” common in senior living developments. Ackerman, senior managing principal of owner/developer Big Rock Partners, says the project has received an “enthusiastic response” from consumers. The structure appeals to institutional investors. Big Rock’s investors are New York-based RD Management, Chicago-based Ventas and Los Angeles-based TownshipCapital. Big Rock brought in Atria Senior Living, a Louisville, Ky.-based company, to market and operate the project. Big Rock has another project, Windsor at Celebration, in Central Florida managed by a different company. Serial entrepreneur Lil Roberts and CPA Steve Gelley founded Fort Lauderdale startup Xendoo to provide accounting and bookkeeping services to small-business owners underserved by CPAs. “We like to be known as a technology company that happens to be in the accounting space,” Roberts says of the cloud-based company. It raised $1.2 million last year and wants to do another round this year. It has recurring revenue — clients pay a monthly fee — and a head count of 21, including CPAs, accountants and bookkeepers based in Fort Lauderdale, along with outside teams that include tech developers in Estonia. BOCA RATON — Royal Investment Group relocated its headquarters from Orlando to Mizner Park. It manages more than 1,000 properties and will employ 30. DAVIE — Nova Southeastern University’s H. Wayne Huizenga College of Business & Entrepreneurship inducted real estate developer Stephen Ross, founder of Related Cos. and owner of the Miami Dolphins, construction firm founder Bob Moss of Moss & Associates and Celebrity Cruises President and CEO Lisa Lutoff- Perlo into its Business and Entrepreneurship Hall of Fame. DELRAY BEACH — The city gave final site approval to Menin Development’s 143-room and suite hotel, The Ray, which will be built north of Atlantic Avenue in the Pineapple Grove Arts District. It’s scheduled to open in fall 2019. FORT LAUDERDALE — AutoNation renewed the lease for 12 years for its headquarters at 200 Las Olas Circle, where it employs 650. Boca Raton-based iPic Entertainment will build an eight-screen, 400-seat luxury theater along with a City Perch Kitchen + Bar at 601 N. Federal Highway, a mixeduse destination near downtown opening in fall 2020. HOLLYWOOD — Costa Hollywood Beach Resort, a 307-unit oceanfront hotel with studio, one-, twoand three-bedroom suites, opened. MIRAMAR — Spirit Airlines’ pilots, represented by the Air Line Pilots Association, ratified a five-year contract that raises pay on average 43% and makes “double- digit” percentage contributions to pilot retirement plans. PALM SPRINGS — Pulte Homes began sales at its 160-residence Preston Square townhouse development. Units start at $253,990. PLANTATION — Augmented reality computing company Magic Leap brought its fund-raising total above $2 billion after raising $461 million from an investment wing of the Kingdom of Saudi Arabia. Also, Magic Leap partnered with the NBA and its broadcast partner Turner for fans to watch some NBA content, though not live games, on Magic Leap’s goggles. RIVIERA BEACH — Dallas- based developer Third Palm Capital completed its VistaBlue Singer Island oceanfront condo, the first on Singer Island in a decade. SOUTHEAST FLORIDA — Palm Beach, Broward and Miami-Dade for the first time all ranked among the top counties in Florida for health outcomes. Palm Beach was unchanged at eighth while Miami-Dade rose to fifth from 23rd and Broward to 10th from 19th, according to rankings by the University of Wisconsin Population Health Institute and the Robert Wood Johnson Foundation. Martin was third, Indian River 21st, St. Lucie 22nd and Okeechobee 58th. SOUTHWEST RANCHES — Toll Bros. will develop Rolling Oaks Estates, 18 large homes on two-acre lots. STUART — Gannett-owned Treasure Coast Newspapers put its 10-acre Stuart News property up for sale. Ryan Cohen, co-founder of Dania Beach online pet supply company Chewy, resigned. He will be replaced as CEO by COO Sumit Singh. Chewy was sold last year to PetSmart for $3.35 billion. Bahia Mar Fort Lauderdale Beach Doubletree promoted sales and marketing director Lisa Namour to general manager. 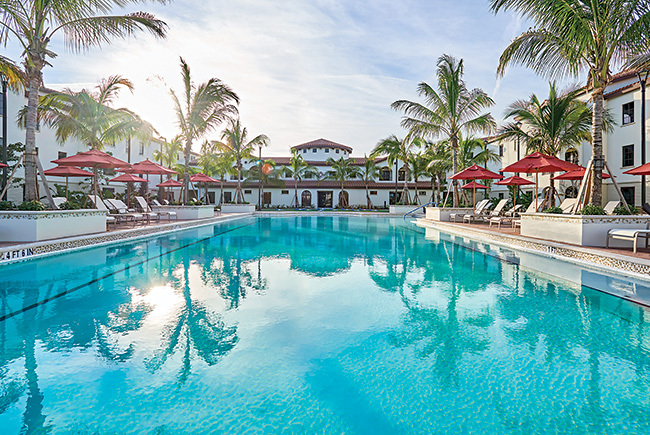 Kimpton Hotels appointed Awet Sium general manager of the Kimpton Vero Beach Hotel & Spa, where he was general manager in 2011 and 2012. See other stories from Florida Trend's June issue. to your existing subscription here!